Parliament Must Respect Their Own Word On the Plant Breeders’ Bill. The Plant Breeders’ Bill and the ARIPO Arusha PVP Protocol are two versions of the same Bill. The Plant Breeders’ Bill is a national law; the ARIPO Arusha PVP Protocol is the same law in the form of an international treaty. The press conference organised by the Peasant Farmers Association of Ghana (PFAG) in collaboration with these other groups is a clear indication that none of these critically important Ghanaian organisations have been consulted. As petitioners, Food Sovereignty Ghana has legitimate expectation of being consulted. To date we have not been consulted. The Plant Breeders’ Bill and the ARIPO Arusha PVP Protocol are a danger to Ghana, a danger to sustainable agriculture and a danger to our ability to feed ourselves in the face of climate change. Both Bills promote breeders’ rights over and above farmers’ rights, as well as promoting formalised cross-border seed trade over farmers’ informal seed exchange systems, threatening farmers’ rights to save, use, share, and sell seeds, and threatening seed diversity. Both Bills only incentivise “uniform” varieties. The Food and Agricultural Organization (FAO) estimates that about 75% of the genetic diversity of agricultural crops has been lost due to the proliferation of uniform commercial, varieties replacing native land races. Both Bills present a devastating threat to our ability to preserve our seed varieties, sustain our agriculture, and adapt to climate change. The Plant Breeders’ Bill and the ARIPO Arusha PVP Protocol are two versions of the same bill. Both cede Ghana’s legal sovereignty to foreign corporations. 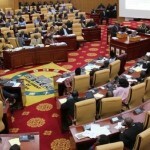 This provision in both Bills is entirely unnecessary for Ghana to comply with the WTO. Ghana has full flexibility under the World Trade Organisation (WTO) to develop an effective “sui generis” system for plant variety protection, to develop a unique system that suits its needs. Parliament has no mandate or constitutional authority to cede any aspect of our independence to plant breeders, local or foreign! It is unconstitutional to pass a law containing Clause 23 of the Plant Breeders’ Bill. The same clause is also found in the Arusha New Plant Variety Protocol which is expected to go before Parliament for ratification. The Constitution of the Fourth Republic of Ghana does not mandate the Parliament of Ghana to surrender any aspect of our sovereignty to foreign entities. Parliament has no authority to cede national sovereignty under the Constitution. If either Bill is passed it will be necessary to challenge the Passage of the Plant Breeders’ Bill and the ratification of the Arusha Protocol at the Supreme Court for the protection of Ghana’s Constitution, our farmers, our citizens, and our sovereignty. We would like to see in any future Bill, a clear statement of farmers’ rights and the absence of any form of criminalization of farmers such as what we saw in Clause 58 of the rejected Bill. In the Report of the Committee on Constitutional, Legal and Parliamentary Affairs on the Plant Breeders’ Bill, November, 2013, we witness the conspicuous absence of the International Treaty on Plant Genetic Resources for Food and Agriculture (ITPGRFA) among the documents referenced. This is an unconscionable omission. Ghana is a signatory to this treaty. It is the treaty that protects and supports farmers’ rights. As a member of the International Treaty on Plant Genetic Resources (ITPGRFA) we expect Ghana to take steps to realise farmers’ rights to use, sell, save and exchange farm-saved seeds, to protect their traditional knowledge and to allow their participation in national decision-making. The Bill must preserve Ghana’s sovereign independence and must protect the DNA of Ghana’s traditional seeds from bio piracy. Ghana must have sovereignty over our seed germplasm resources. It would be wise to mandate that any entity or individual who provides germplasm resources to any foreign entity, organisation or individual in cooperation to conduct research, shall make an application and submit a national benefit-sharing scheme. There must be genuine consultation with Ghanaian farmers about these laws, not just with representatives of foreign corporate interests. Food Sovereignty Ghana heartily endorses the Press Statement of The Peasant Farmers Association of Ghana. We agree with their list of the true concerns of Ghana’s farmers. The Plant Breeders’ Bill and the ARIPO Arusha PVP Protocol will severely damage Ghana’s farmers’ livelihoods and our ability to feed ourselves sustainably and protect our country against the effects of climate change. Both the Plant Breeders’ Bill and the ARIPO Arusha PVP Protocol give away Ghana’s sovereignty. If they are passed, it will be necessary to challenge both before the Supreme Court. We seek to register our deepest disappointment over the fact that Parliament appears to be going ahead with this legislation without any consultation with key stake-holders that we know of! And that this is in spite of the fact that the very reason for its suspension was, as the Speaker put it, the need for further consultations with stake-holders. What is our Parliament trying to do, Mr. Speaker?